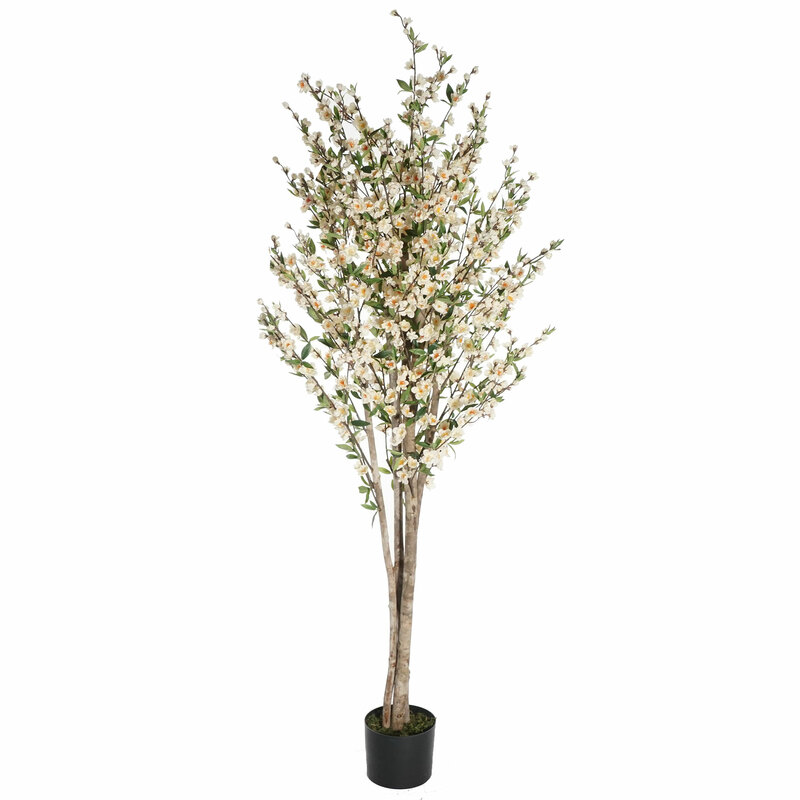 Stunningly beautiful, this 6' cherry blossom silk tree with pot will look gorgeous displayed in your home or office. Invite in summer and a cool tropical breeze with this enchanting faux tree that infuses warmth and a harmonious serenade of colors into even the blandest of settings. Whether you place this enchanting creation in your foyer, kitchen or even your bathroom, it'll instantaneously illuminate any space and is painlessly beautiful because it doesn't require any maintenance. Fashioned from only the finest quality materials, this exquisite tree is truly a resplendent addition with a beauty that endures. Height - 6', Width - 30"